The Colored Museum, a student-led production directed by Quirtina Crittenden and Assistant Director Kia Benion, brought African American history to life on Tech campus last Sunday. 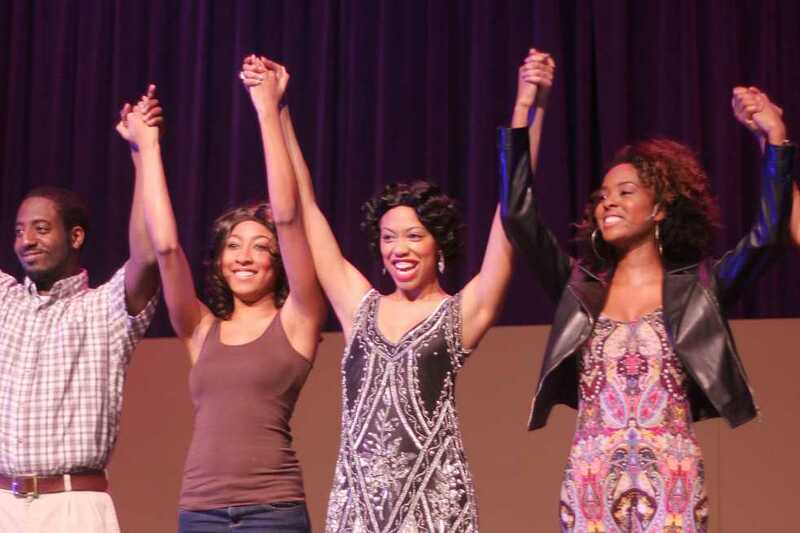 The play was performed for one night only in the Ferst Center for the Arts, presented by the African American Student Union (AASU) in conjunction with the Office of Student Diversity Programs. The production was originally brought to the stage by the African American playwright George C. Wolfe in 1986, who won the Dramatists Guild Award for the play in the same year. It features nearly a dozen vignettes or “museum exhibits,” each one satirizing a different aspect of African American history and culture. “I think the play gives a really good sense of the different things that African Americans have dealt with on a broader spectrum, like the small, everyday conflicts that are part of the black experience at Tech, our professional lives and even just growing up. I hope it opened up the audience’s eyes to those issues,” Benion said. Crittenden, a third-year BA major, was first approached by the show’s producer Dean Stephanie Ray during her freshman year at Tech to direct it. Crittenden has extensive theater experience, and was excited to finally have the opportunity to work on The Colored Museum this year. “It’s always good to have meaning behind what you’re doing, especially when you’re dealing with art. And from what people who saw the play have been telling me, they really enjoyed the fact that every joke had a deeper meaning behind it,” Crittenden said. Both Crittenden and Benion performed during the production in addition to their directing roles. “Git on Board” opened the play with the Miss Pat character, a flight attendant, welcoming the audience onto the “Celebrity Slaveship.” The satirical piece addressed the idea that in spite of the struggles and triumphs of history, one’s ancestral roots can never really be left behind. Benion appreciated the fact that the content of The Colored Museum featured a variety of emotions, and she felt that it added to the value of the production as it appealed to a diverse crowd. “I think balance definitely helped us reach a wider audience. If [the play] was purely comedic some people might have responded to that, and some people respond better to themes that are purely dramatic. I think that having both in the play helped us talk about serious issues but also allowed more people to absorb them,” Benion said. Crittenden and Benion agreed that working with a talented cast, many of them new to acting, was an enriching experience. “The cast was wonderful. Our rehearsals were a lot of fun, and Quirtina and I joke all the time that when it came to casting the roles, a lot of them weren’t even acting. [The roles] just gave them the chance to let their personalities shine,” Benion said. For Benion, one of the most meaningful exhibits was “Symbiosis,” which featured actors Erick Malveaux and Uriah Ellis playing a working professional and himself as a kid, respectively. Malveaux’s character felt that he had to throw away everything that attached him to his African American roots in order to become successful in the world. “For African Americans who struggle with things like that, I think [the scene] shows us that it’s okay to preserve your culture, who you are, what helped you get to where you are now and still be successful. Being at Tech, I thought that scene would resonate with people,” Benion said. From a comedic standpoint, Crittenden’s favorite vignette was “The Hairpiece.” This exhibit featured a mannequin head sporting an Afro wig and another with long tresses arguing over which of them would be worn that night by The Woman, played by Crittenden herself. “It was really fun, and from a woman’s perspective it was definitely the kind of conversation that we would have because hair is so important to us. It was lighthearted, and the comedic timing during the performance was hilarious. It was the funniest scene by far,” Crittenden said. The play ended with the message that leaving the memories and events of the past behind to be forgotten has essentially the same effect as throwing them away, as though they had no meaning. Crittenden emphasized the importance of remembering, and wanted the audience to leave the play with a greater cultural understanding. “I hope that our production challenged the audience to think about African American history and what black Americans have been through, but at the same time reminded them of how rich our culture is,” Crittenden said.